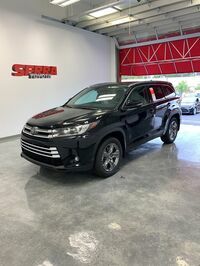 The 2019 Toyota Highlander was created for large families with busy schedules. 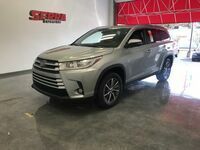 With plenty of standard and available features including an active safety bundle and a rear-seat entertainment system, the 2019 Highlander lineup offers everything families need to travel comfortably on short trips across town or long family road trips. Learn more about the 2019 Highlander lineup’s pricing and standard features below. 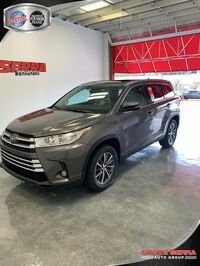 Then, head to the Serra Toyota inventory pages to see which Highlander models are currently in stock for Birmingham, AL drivers. Traditional gas-powered Toyota Highlander models will be available in five trim level configurations for the 2019 model year. Available trims include the LE trim, LE Plus trim, XLE trim, SE trim, and Limited trim. 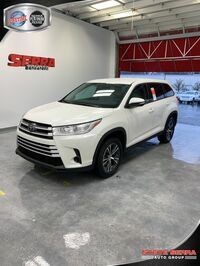 The 2019 Highlander trims range in price from $31,330 for base LE models to $42,430 for amenity-packed Limited models. 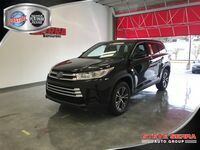 Drivers interested in one of the more affordable models won’t have to do much sacrificing as all 2019 Highlander models come standard with a handful of popular features including split-folding rear seats, Bluetooth compatibility, five USB ports throughout the three rows, an integrated rearview camera, and the Toyota Safety Sense active safety bundle. Moving up to the LE Plus trim will add a power liftgate, automatic climate control, SofTex upholstery, and leather-wrapped interior accessories. For even more premium amenities, the XLE, SE, and Limited trims are a better fit. 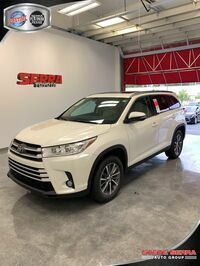 SUV shoppers can expect to find comfort and convenience amenities like push button start and keyless entry, leather seats, a moonroof, Entune Premium Audio, heated seats, and additional active safety features throughout the Highlander’s top three trims. 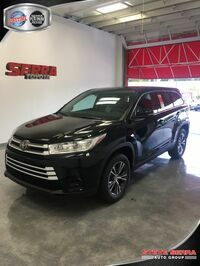 For a more in-depth look at what the 2019 Toyota Highlander lineup has to offer, visit the Serra Toyota dealership in Birmingham where our team can go into more detail. Serra Toyota is located at 1300 Center Point Parkway.